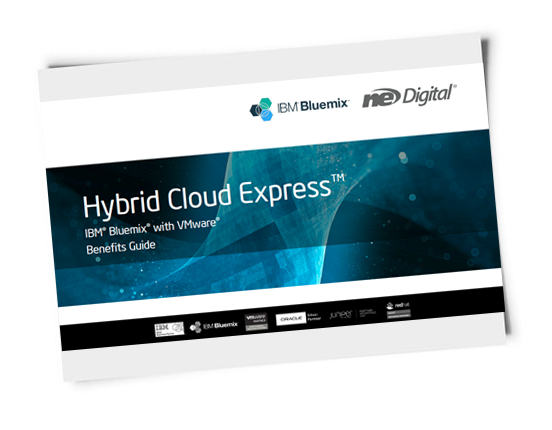 Why should I get a Hybrid Cloud Express™ for IBM Bluemix with VMware? By downloading this guide, you will understand why if you are building a VMware Hybrid Cloud for IBM Bluemix, this is the cloud you should get. The guide will point out every major aspect you need to take into account while analyzing your options. 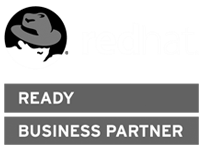 Speed: We provide the fastest time to a Hybrid Cloud Implementation in IBM Bluemix for Small and Midsize Business. Quality: Our designs are validated by VMware and IBM Bluemix. Security: Using the latest Networking Virtualization technology with VMware NSX we offer best practices in firewall and micro-segmentation. Value: We provide equal or lower prices than building the cloud yourself going direct.